Marquette, MI – It took over 80 minutes, but the 15th-ranked Falcons finally clinched a ticket to Mankato. 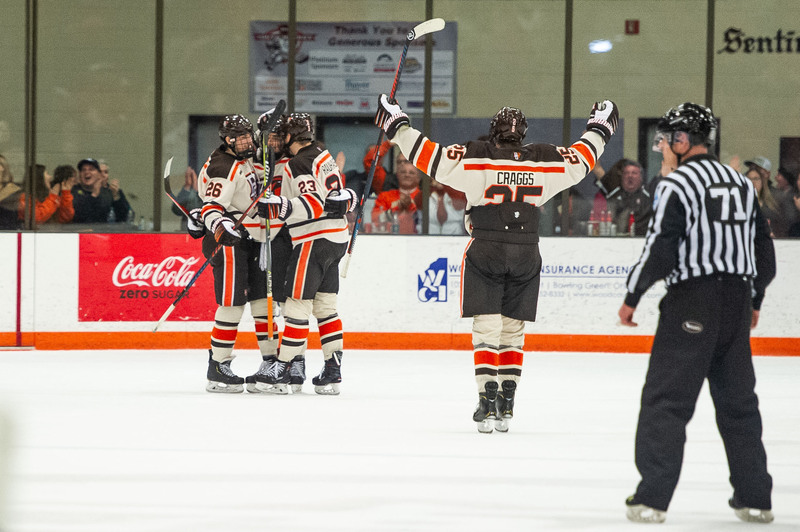 With a 2-1 double-overtime win over Northern Michigan, the Falcons advance to the WCHA Playoffs Championship Game to play the Minnesota State Mavericks. Ryan Bednard started in net for the Falcons, stopping 40 of 41 shots faced. Atte Tolvanen had 41 saves on 43 chances. Bowling Green opened the game’s scoring at 15:12 of the first period. Stephen Baylis passed the puck up the boards to Chris Pohlkamp at the point before sending a shot on net. Pohlkamp’s shot deflected off Connor Ford, beating Tolvanen for the 1-0 lead and his 17th goal of the season. The Wildcats had 12 shots in the opening period while the Falcons had 10 shots on net. The Wildcats scored their first goal 21 seconds into the second period on the power play. Darrien Craighead tallied his ninth of the season to push the game to a 1-1 tie. Bowling Green had 16 shots in the middle frame while Northern Michigan had seven chances on net. Neither team found the net in the third period, sending the game to an overtime period. Bowling Green had 12 shots in the third period while Northern Michigan had seven chances. The Falcons struggled to generate much offense in the first overtime period, getting outshot 11 to four. 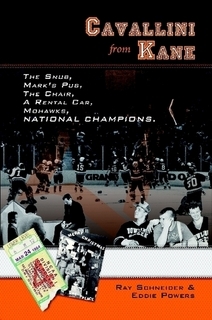 However, neither team found the golden goal in the first overtime and the game proceeded to a second overtime. Bowling Green finally put the game away at 1:50 of the second overtime period. Sam Craggs skated to the top of the far faceoff circle, wristing a laser that beat Tolvanen. The goal was assisted by Will Cullen and Alec Rauhauser and was Craggs’ eighth of the season. The Wildcats had two shots in the abbreviated overtime period, while the Falcons needed just one shot on net to clinch the win. With the win, the Falcons fall to 25-9-5, 16-8-4-3. The Wildcats’ season ends with a 21-16-2, 18-8-2-0 record. Bowling Green will face the Minnesota State Mavericks next Saturday in the WCHA Playoffs Championship Game. The teams will meet for the third game of their best-of-three series Sunday at 7:07 PM. The winning team will travel to Mankato, MN next Saturday to face Minnesota State in the WCHA Playoffs Championship Game.